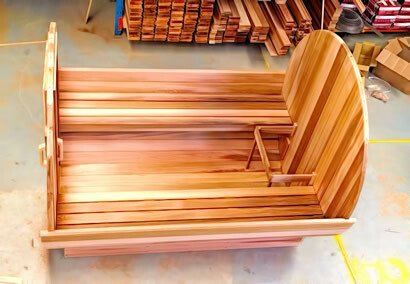 All orders received by the end of the first week of November will be delivered before holidays. 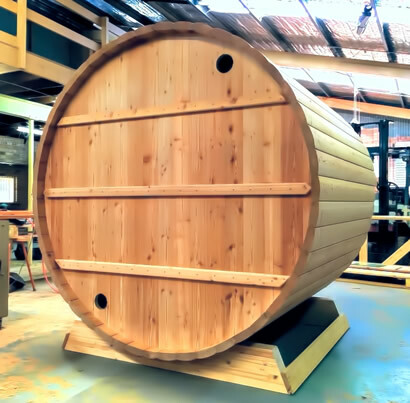 All orders received after will be delivered by the end of January beginning of February 2017. Factory will be closed from Dec 19th, 2016. All works will resume from Jan 16th, 2017. 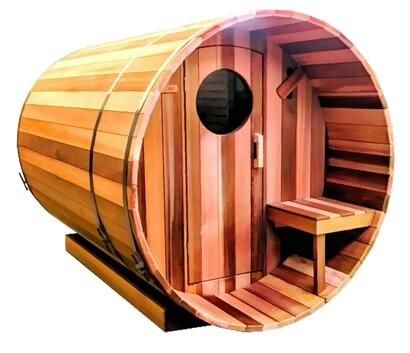 If you would like to get your tub or sauna before holidays you need to act now! 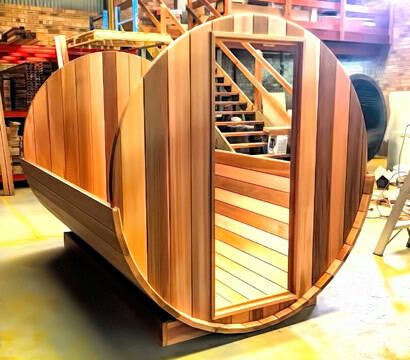 Sauna cradle and base staves are installed..
Sauna front wall and back wall are fitted..
And the test fit is done. 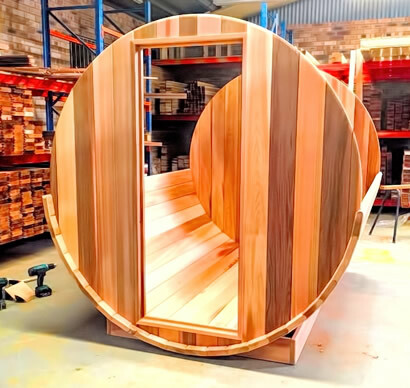 What’s left is to put the stainless steel rings and tighten them up.. 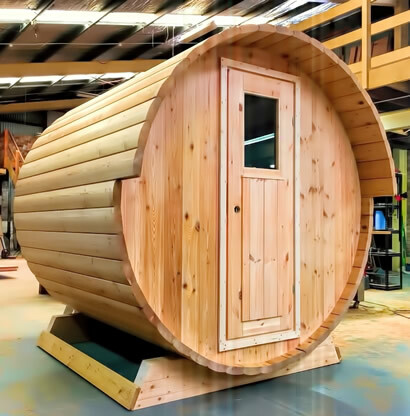 This is sauna back wall in case you were wondering.. 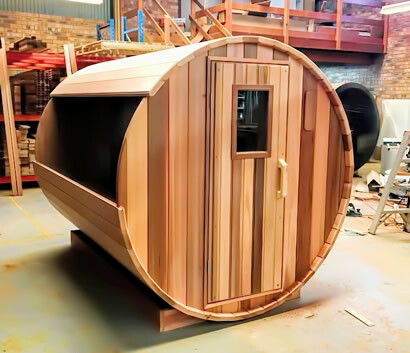 It is Saturday but we had to work and finish test fit of our popular Canadian Western Red Cedar barrel sauna. 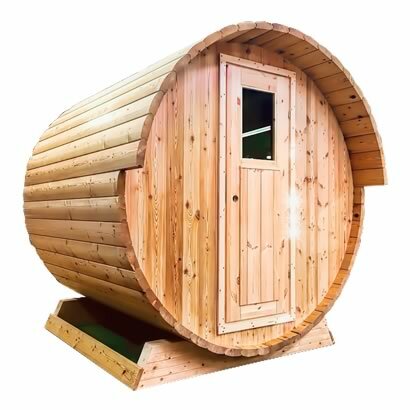 Maxim, our customer, is coming over tomorrow to pick it up and we had to make sure that it’s all fitted properly :). 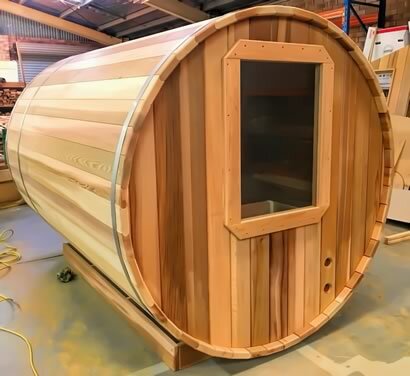 Sauna is half way done. 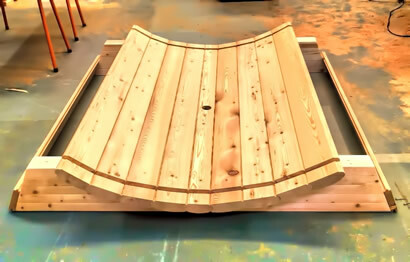 Base staves are in. Front and back walls are in too.. 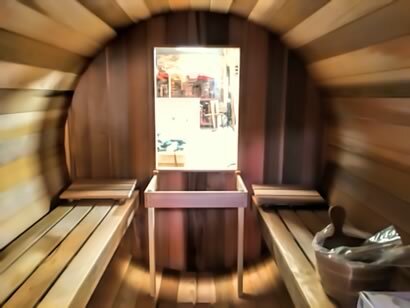 The same half way through sauna but from another angle.. 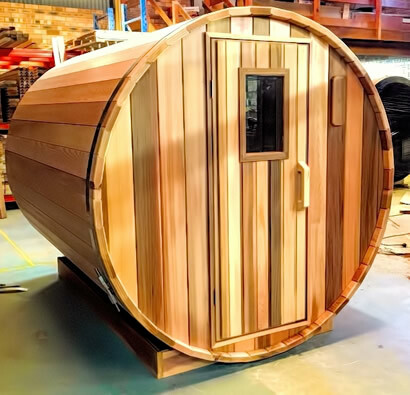 Customer ordered traditional sauna door. 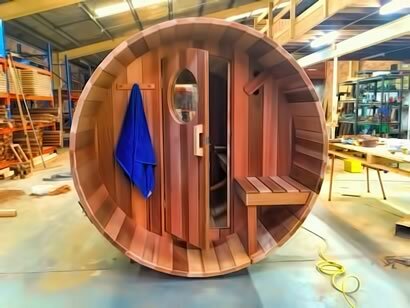 The reason is that his house does not have enough power for 8kW electric sauna heater and maximum he can go for is only 6.0Kw. Traditional timber door holds heat much better (a bit of cost but way less than upgrading house power supply). 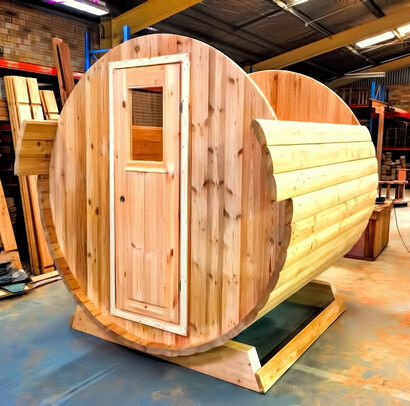 Traditional sauna door is mounted to the door jamb..
Sauna benches are fitted along with floor duck board and heater guard rail..
Ooh.. just a bit more to go..
Sauna is finally done and dusted. Ready to be picked up and go to its new home..
We always get questions like how much.. 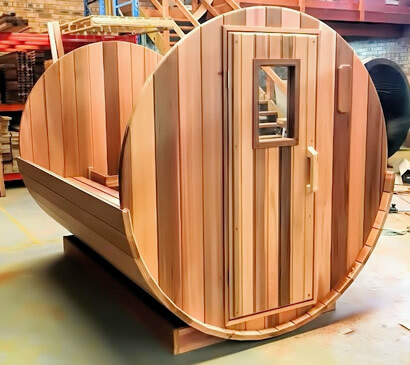 Here it is with traditional door 1.8m dia at 2.4m length, electric heater with built-in controls, heater guard rail, two benches, floor duck board, air vents, sauna light fitting, sauna cradle, bucket, ladle and thermometer – $12,490. 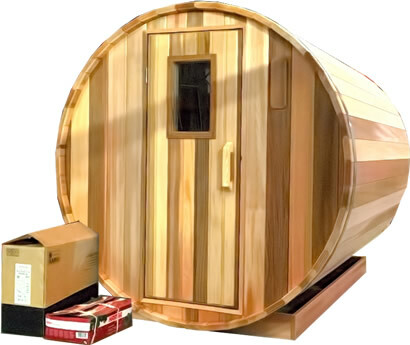 Want to order your sauna today? Call us on 0425 230 785 for more information.